Emily Heuring is tapping her expertise as an architect to create a new blueprint of strategic growth at Coffee & Bagel Brands. As the director of construction for the international group of coffeehouses and bagelries, Heuring is applying both the design and business skills she’s cultivated throughout her two-decade career to expand its iconic brands: Caribou Coffee, Bruegger’s Bagels, Einstein Bros. Bagels, Manhattan Bagel, and Noah’s New York Bagels. 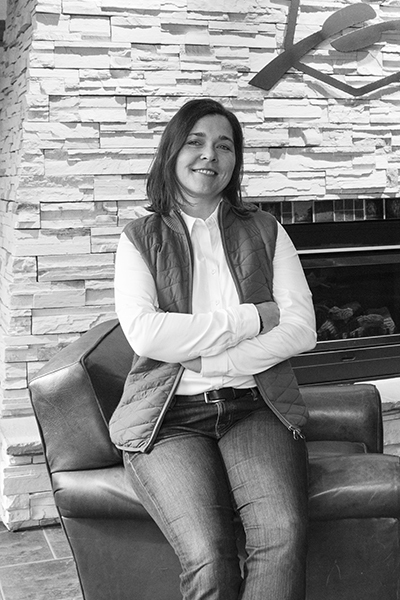 Prior to Coffee & Bagel Brands, Heuring launched her career at the Minnesota-based design firm Wilkus Architects, after earning her bachelor’s degree in architecture and environmental design at North Dakota State University. After she joined the internal design team for Caribou Coffee, in 2005, she rose through the ranks and reached her current position in 2016. She has administered multimillion-dollar capital improvements for up to 40 new stores and 70 remodel projects annually, achieving a 5 percent cost reduction year-over-year on the new builds and 15 percent savings for the remodel work. Such results illustrate how store concepts are constantly evolving, and Heuring emphasizes flexibility and team member empowerment as essential skills for both working in construction and managing how multiple, expanding brand identities are reflected in real estate. Aside from inherent organizational and cultural transformations, Heuring says that the store concepts embodied by Coffee & Bagel Brands continually evolve to align with guest preferences within the market. She recalls that about 10 years ago, Caribou was in the midst of transforming its coffeehouse layout for guest navigation in order to focus on the story of Caribou’s handcrafted food and beverages. 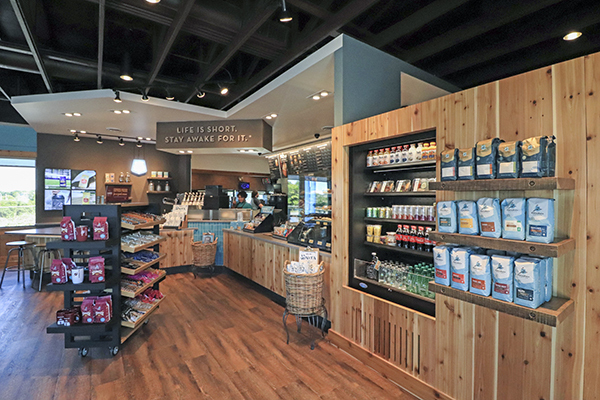 In fact, Caribou Coffee originated from a trip the founders took to Alaska, and the store concept today is centered on the warm, cozy, familiar, and inviting setting of a Northwoods cabin. In 1992, the brand opened up its first storefront in Edina, Minnesota, and now it spans 18 states and 11 countries. Caribou Coffee is also incorporating localized touches into store design, Heuring says. For example, she cites innovative community tables. “They have imprints in the tabletop that tell you subtly where you are,” she says. Currently, Caribou Coffee is planning for continued growth, with expansion in the Upper Midwest over the next few years. Throughout this process, Heuring remains focused on change as a major constant in her role. She values adaptability, and, knowing that with constant evolution she will often be fielding questions, she advises others in construction to encourage creativity. “The better you can tell a story, the more effective you will be,” she says. From coffee shops to stadiums, Graybar understands all the technologies that go into your building. From the switchgear outside to the pendant lighting inside, Graybar has the experience and design support to help you keep projects on time and within budget.